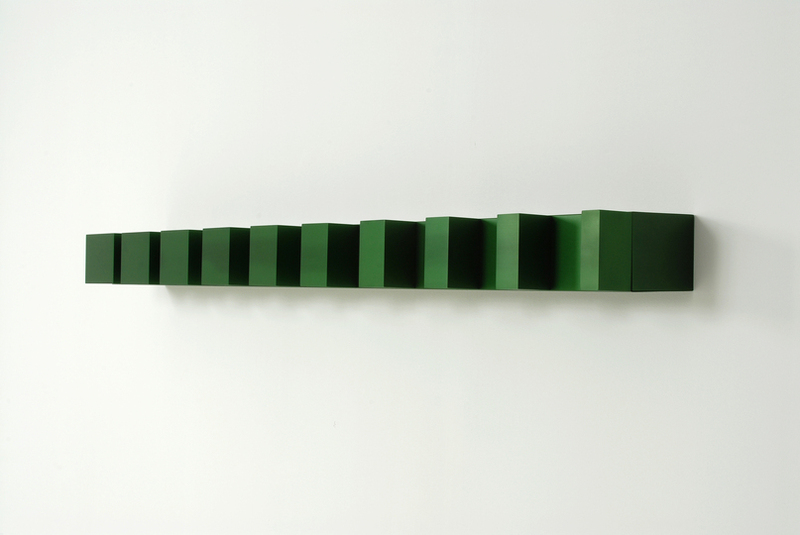 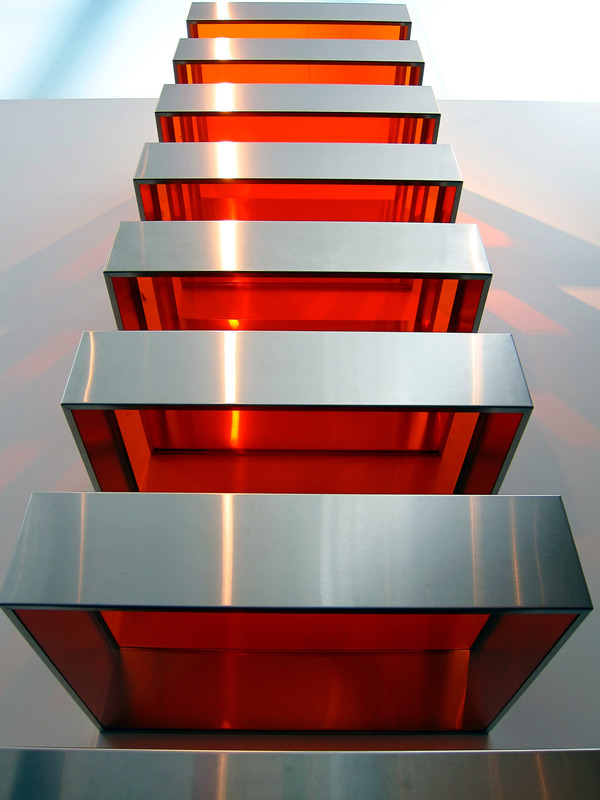 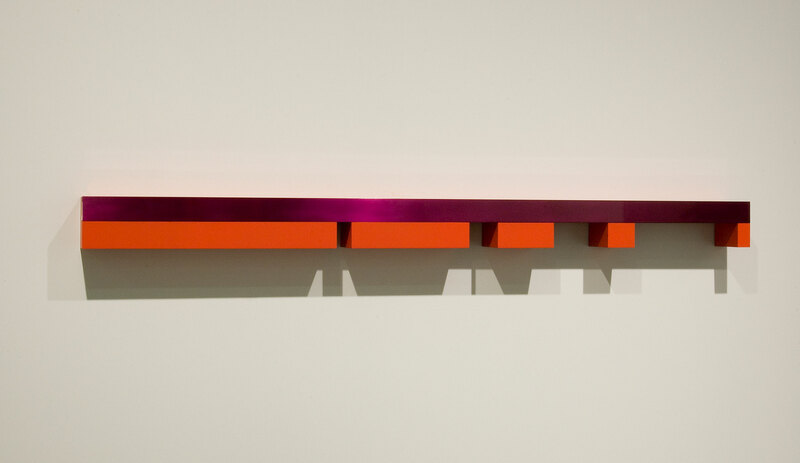 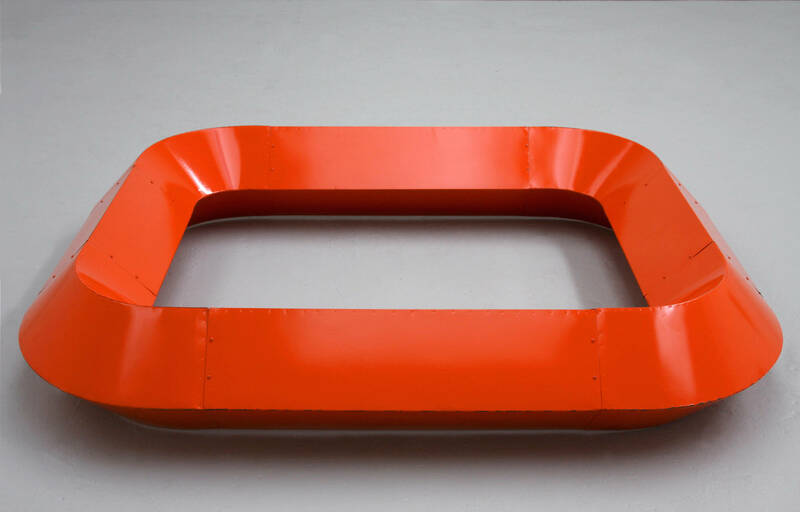 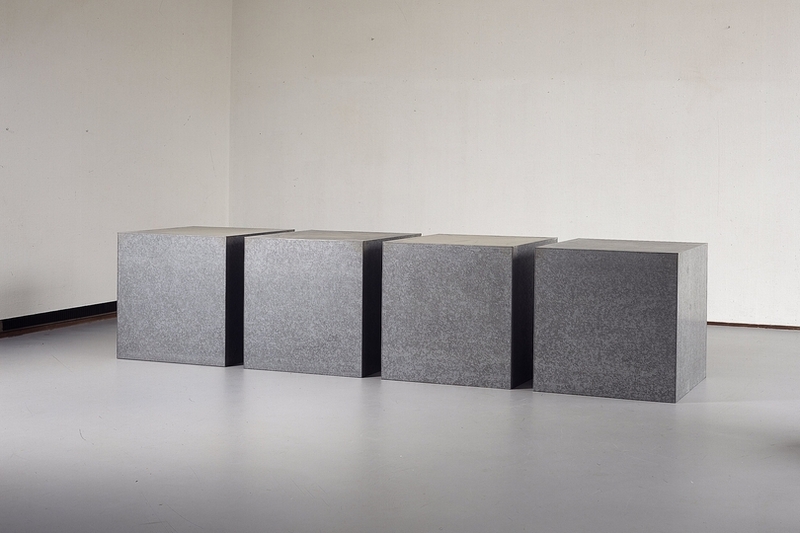 Donald Judd began as a painter, his paintings developing in the early 1960s into low-reliefs, then into high-reliefs, wall pieces and floor pieces with precise geometrical forms and without a base. 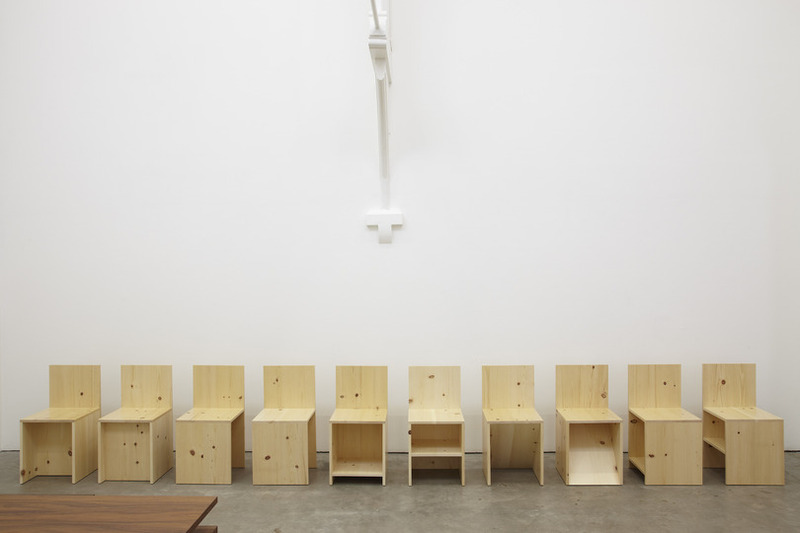 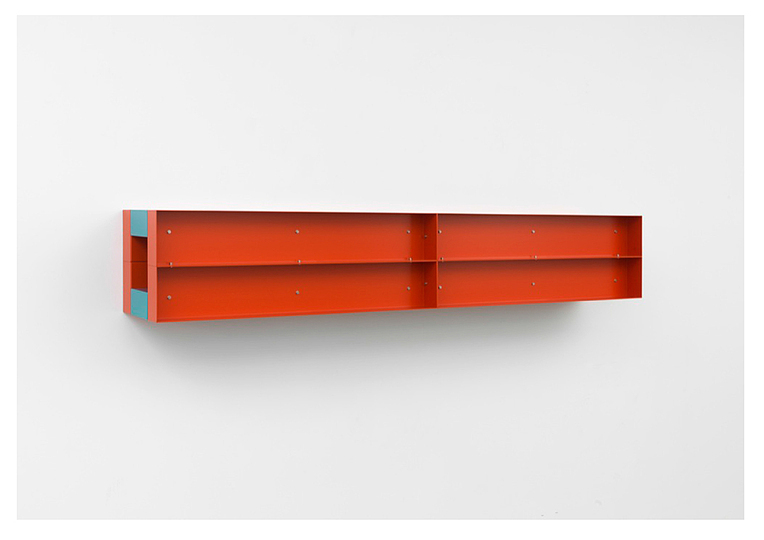 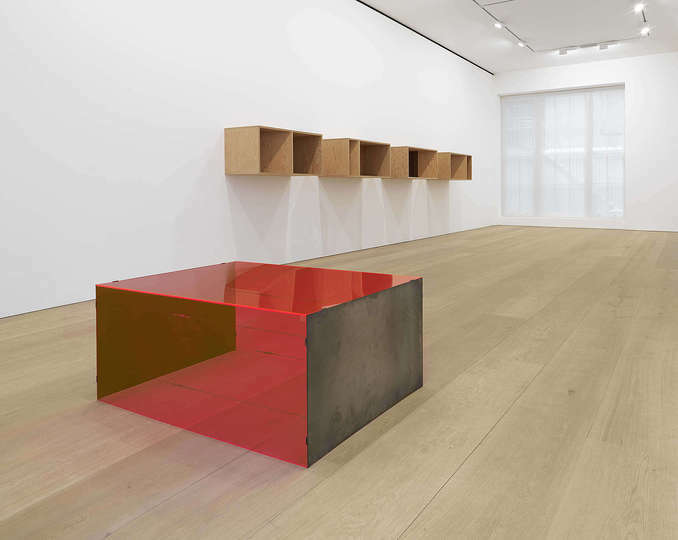 Donald Judd studied philosophy and art history at the Art Students League and Columbia University. 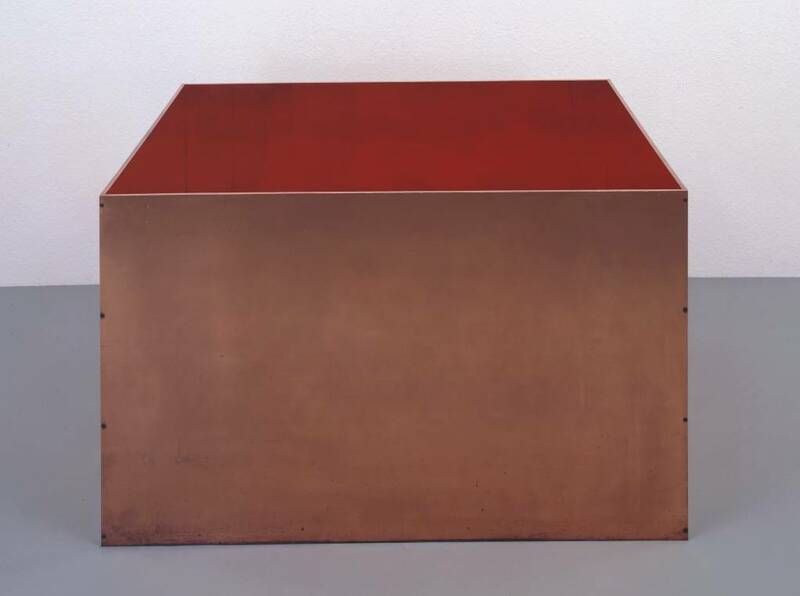 From 1959 to 1965 he wrote art criticism for American journals such as Arts Magazine, championing fellow artists from New York such as Claes Oldenburg, Frank Stella, John Chamberlain and Dan Flavin. During this period he gave up painting in order to devote himself to sculpture, or rather to the object, making painted wooden structures such as Light Cadmium Red Oil on Wood that he exhibited in 1963 at the Green Gallery, New York. 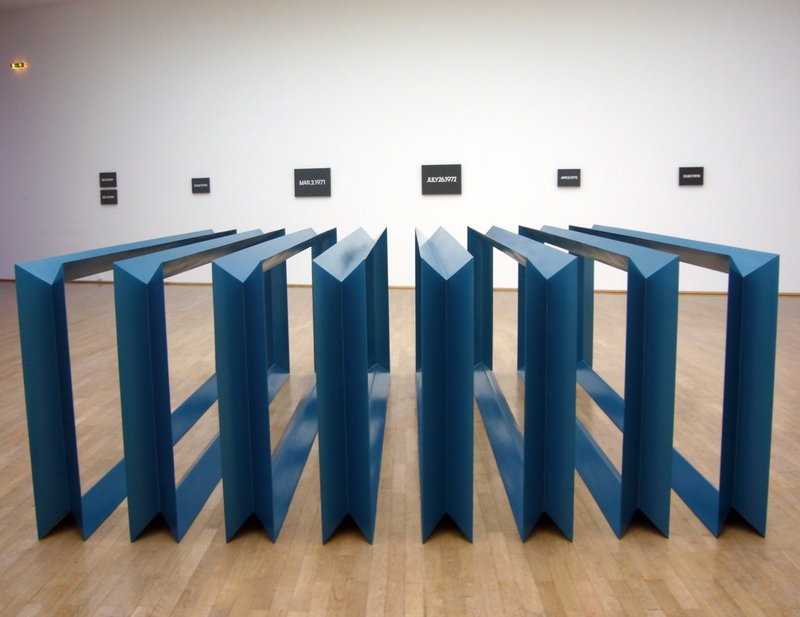 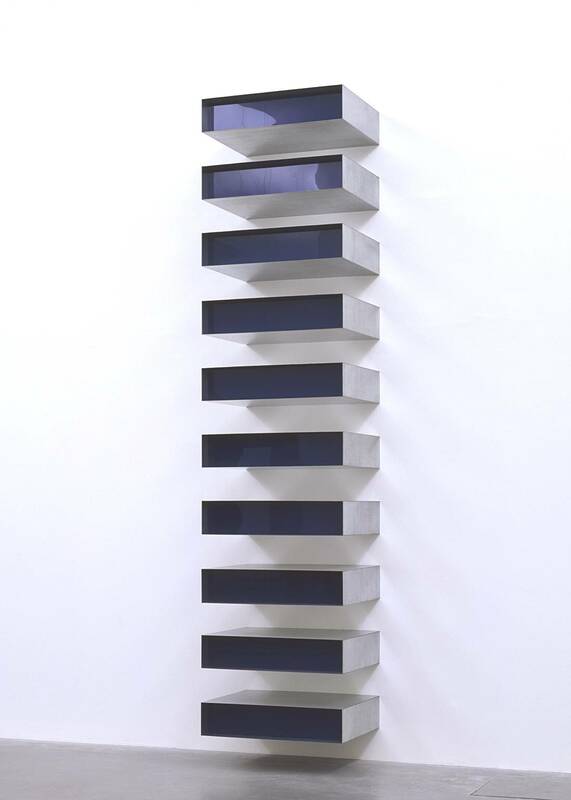 Between 1964 and 1966 Judd perfected a formal vocabulary that was soon labelled Minimalism, which he subsequently developed in different materials. 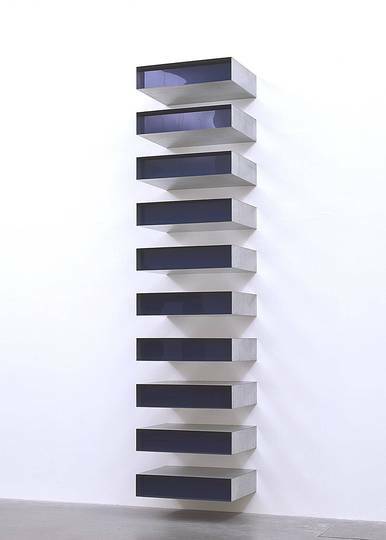 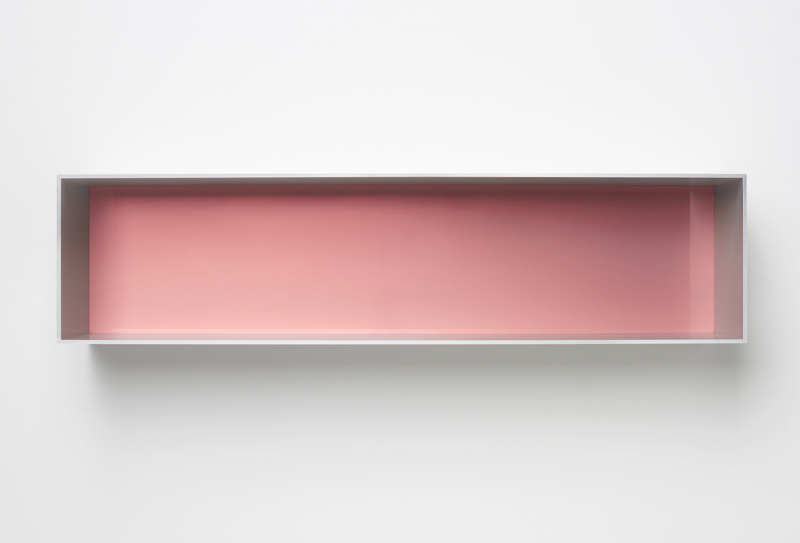 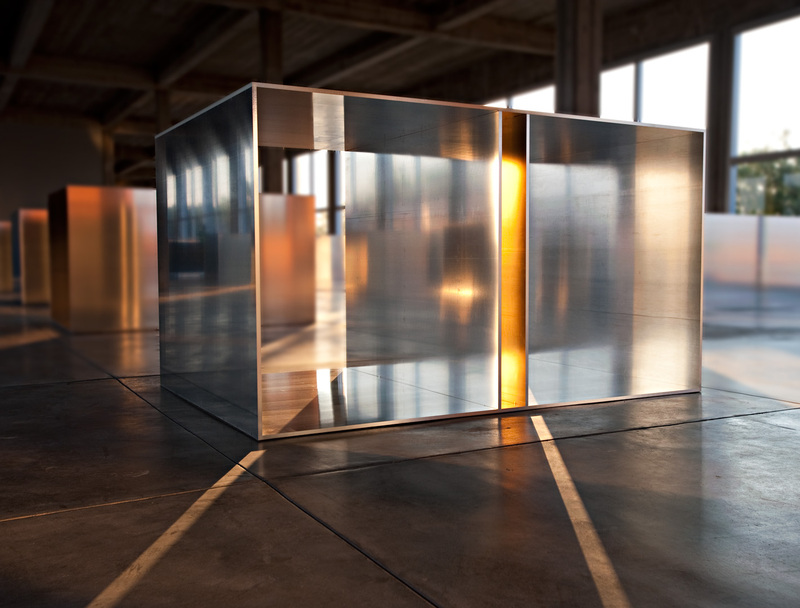 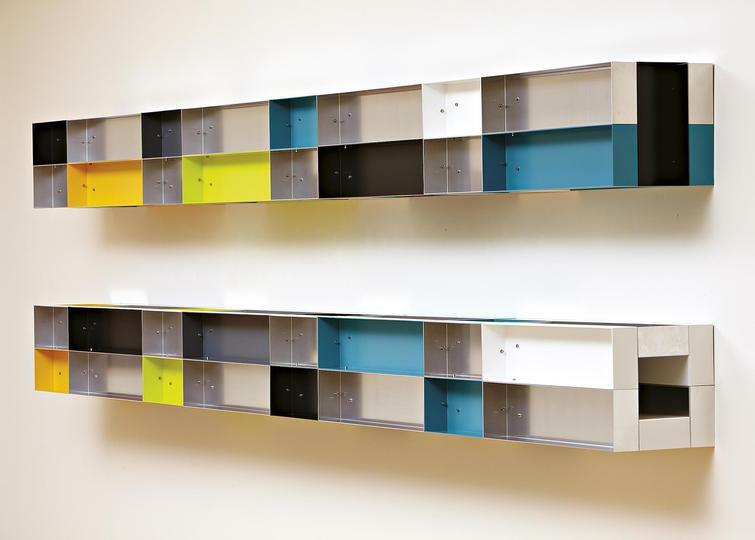 Judd favoured metals such as painted steel, aluminium or galvanized iron as sculptural materials, sometimes in combination with another industrial material, perspex. 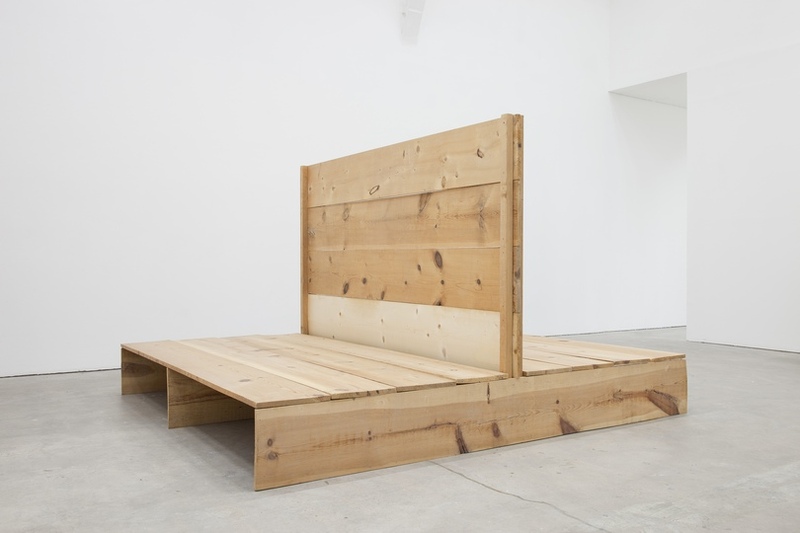 Subsequently he used unpolished laminated wood and concrete. 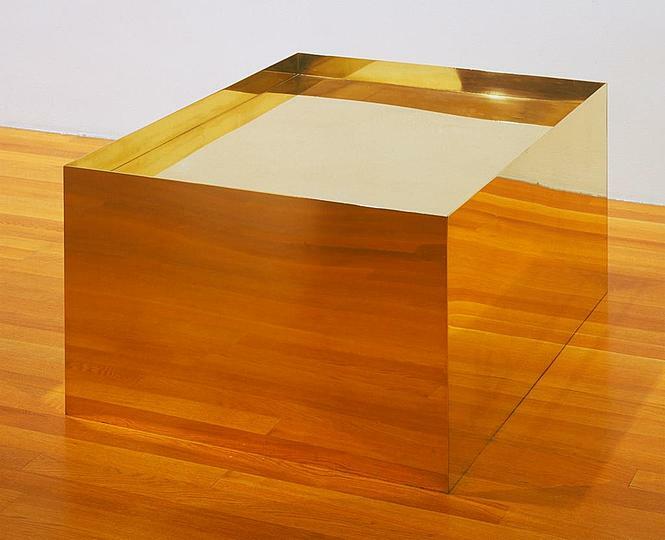 He had his works made in a factory in order to obtain a perfect finish without having to rework the material. 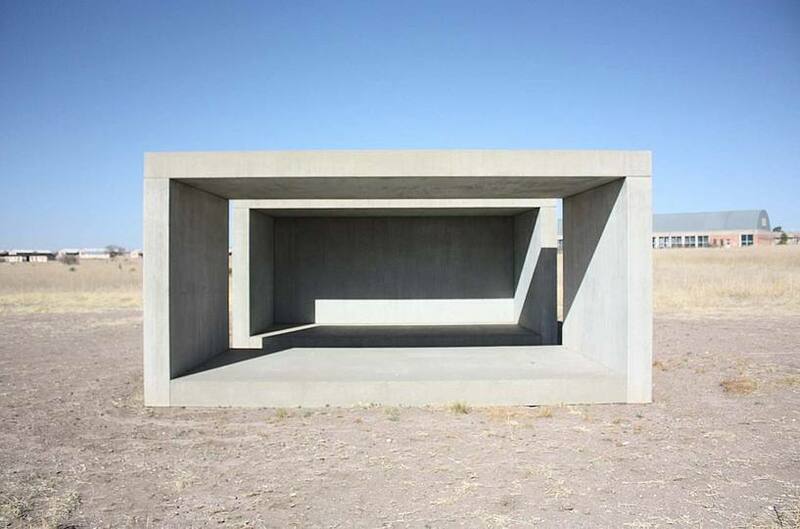 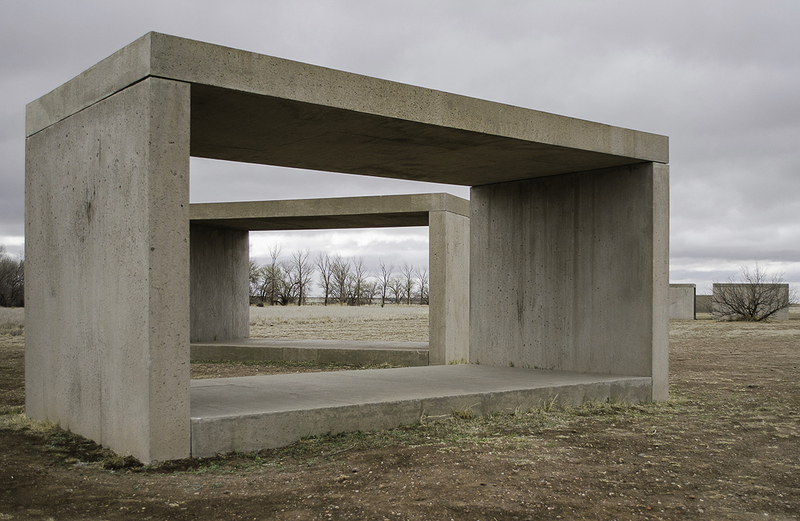 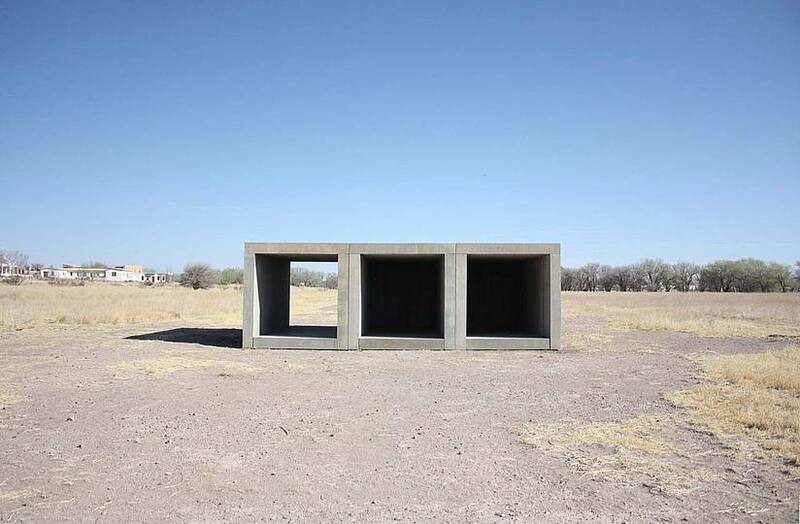 Judd began in the 1970s to work on a larger scale, gradually creating a type of open-air museum of his work surrounding his studio at Marfa, TX. 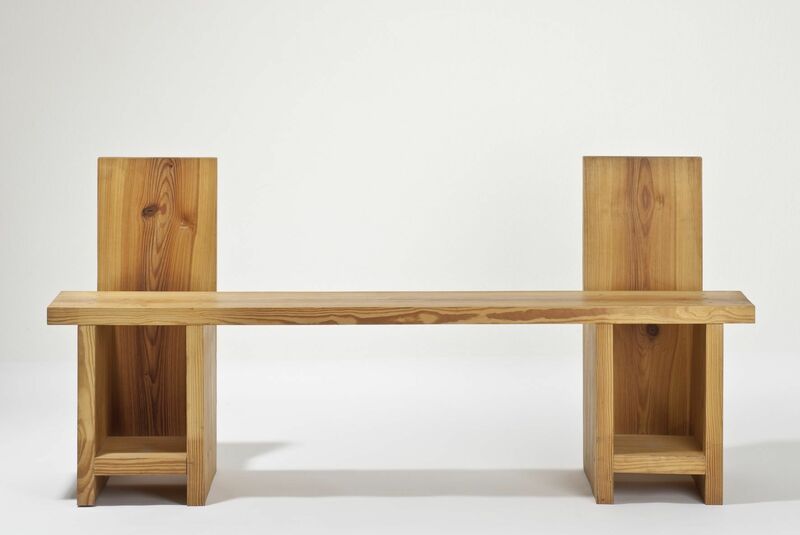 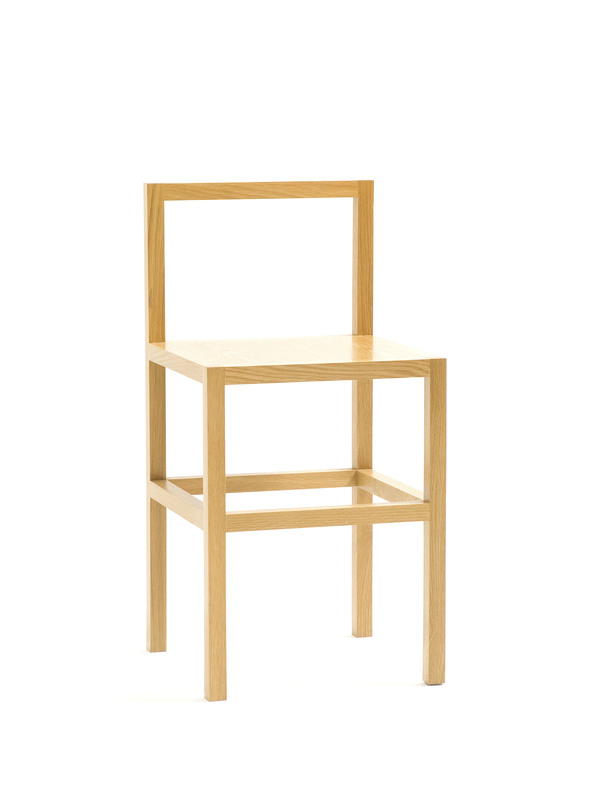 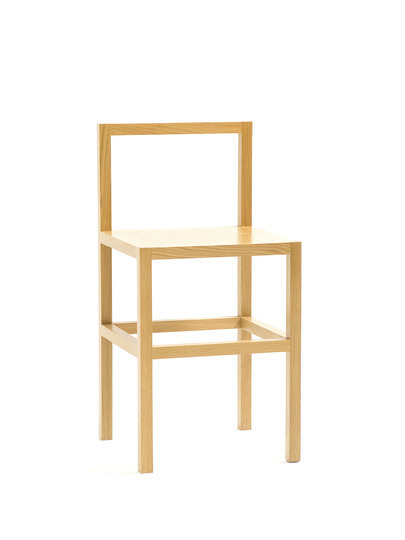 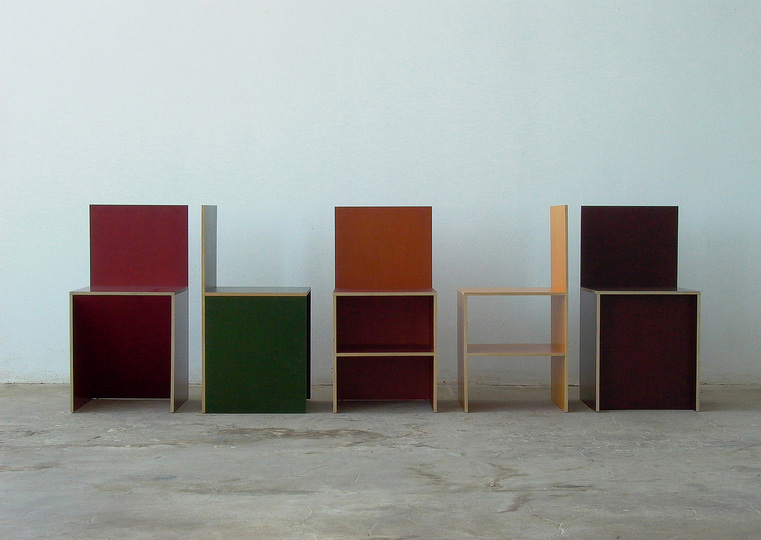 In 1984 he also began applying the principles of his sculpture to a plain style of furniture.